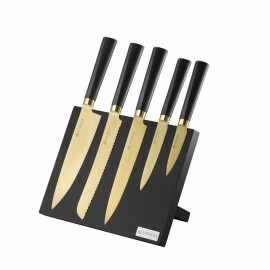 The Titan 6 piece cutlery block sets explore the unique titanium coating in three colors, black, gold and copper. 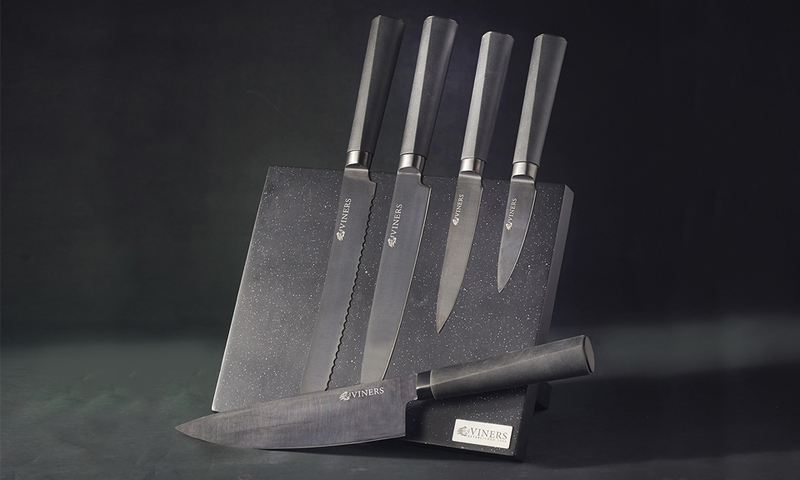 The blades are made from high quality stainless steel to create a harder, stronger blade that will maintain sharp cutting edges and have significantly greater corrosion resistance. All blades have a full titanium coating and are taper ground. 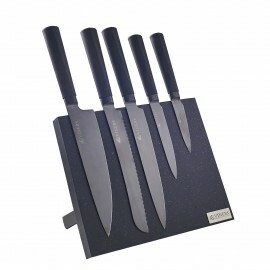 The handle has an extra soft grip with double bolster for handling comfort and safety. With a 10 year guarantee.